I had a wonderful few days this week, talking to another library book group who were so thoughtful and asked really interesting, considered questions. Then I went to London where I caused an incident due to Jerusalem-ingrained paranoia when I thought that someone at a bus stop had abandoned two bags of shopping - and the other guy at the bus stop also thought so! I called the police, gave them a full description, which did include me peering carefully into said bags to describe the lettuce within. Then, just as I hung up, my bus came - and an elderly man who may not have spoken English and must have been lurking in the shadows, picked up the carrier bags and got on the bus! I was a little embarassed but then as the bus pulled away, I heard sirens, and two police cars sped past, then a third one pulled in front of our bus and two young police officers in bullet-proof-vests got on. I of course immediately admitted it was me, and they inspected this poor man's shopping and then headed off, murmuring into their radios - probably "Mad paranoid woman's wasting police time". Anyway, they haven't contacted me to tell me off, and I'd rather be paranoid and mortified than the alternative. Even if it was just lettuce. So, the London trip was for me to be the speaker at a charity lunch for the League of Jewish Women. I've never done after-meal speaking, was rather nervous and thought I might manage 15 minutes including reading my stories. Turns out, I read and chatted about short stories and writing for about 40 mins without having really prepared much! Then there were questions and just as someone was asking the final questions, there was a kerfuffle in the corner and it turned out someone had fainted. Warm room, lots of people - not anything connected to my speech, they assured me! It was dealt with swiftly, she was fine... and everyone carried on as normal. My fiction packs a punch, clearly. Anyway, a lovely day, despite the conditions in London turning thundery and it taking 2 hours to get across town. 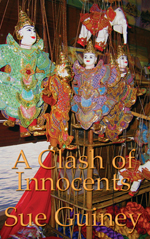 And next week I will be hosting a stop on my friend Sue Guiney's virtual book tour for her new and wonderful novel, A Clash of Innocents. Stay tuned. I had an interesting day doing something I've never done before. Normally on Saturdays, I switch off TV, phone, Internet and I read... generally a whole book in one day. But today I read halves of two books, Is God a Mathematician? by Mario Livio, a wonderful book about the history of mathematics - an exploration of whether maths was invented by humans or "discovered" because it is actually an innate aspect of the universe - and a fabulous (in both senses of the word) short story collection called A Life on Paper, stories by French writer Georges-Olivier Châteaureynaud translated by Edward Gauvin, which I am reviewing for The Short Review. I literally (and literarily) alternated between the two books - a few chapters about maths and then a couple of short stories, then another chapter about maths, reading both books at the same time. And the juxtaposition of the two set my brain firing in all sorts of directions, it was an immensely creative act. I think I read each book differently because of the other, fact informing fiction and vice versa, and it has really inspired me. I wanted to highly recommend trying this - it would probably work with any two books, has anyone else tried something like this? Talking of inspiration, I wanted to mention a new venture by one of the most creative, generous and inspirational people I know, Sarah Salway, poet, short story writer, novelist, who is always posting writing prompts on her blog. Together with poet and writer Catherine Smith, Sarah has just launched Speechbubble books. This is what they say about it: " Our experience of collaborating with other writers, musicians, photographers, actors, directors and textile, paint and digital artists has shown us that good writing can go beyond the confines of two hard covers. Speechbubble Books allows us to share some of this work, and to bring new work out into the world." I want to wish them enormous luck with the new venture, and I am off to order their first product, Pillow Book: "an ongoing collaboration between textile artist Anne Kelly and writer Sarah Salway.Each postcard replicates a piece of textile art designed by Anne Kelly and already exhibited throughout the UK." Doesn't that already sound wonderful? Welcome, Speechbubble! A few interesting things that have dropped into my email Inbox recently that I wanted to pass on. Firstly, here's a lovely idea: Kenney Mencher, a painter and professor of Art History and Studio Art in California, is offering a piece of his artwork as a prize in a flash fiction competition he is running on his blog. In his email to me, he said: " I have tons of drawings and I thought it might be nice to give some away." What a wonderful prize, take a look at his artwork, it is really stunning. You have til Oct 25th to post the flash story in the comments on his blog. Out of Print is a new short story lit mag, founded by Indira Chandrasekhar who I was delighted to meet because she writes fiction and she has a Ph.D. in Biophysics! The aim of the magazine is: "We seek original writing in English or translated into English that is strong, well-crafted and reflects the pace and transition of our times. Based out of India, we view writing with a connection to the subcontinent with particular interest but are open to submissions from around the world. We encourage new writers and we encourage writing that tells a story." The first issue includes a story by the excellent Kuzhali Manickavel, and I look forward to exploring the rest of it in more detail. Best of luck to both these ventures! And... I've just posted a post on the Science Faculty blog in which I interview PhD student Becky Jones about her time in Austria for the Roche Continents: Arts and Science program, so head over there to find out what that's about. The short story will survive anyway because it is a perfect art form. A novel is too big to sit in your mind and unfurl like a flower. A poem is too short to tell you a story involving enough to absorb you. I guess it could do with a little help, though. And... the 2011 Bristol Short Story Prize is now open! Not only that, the first prize money has now doubled, to £1000. Sadly, I am a judge again this year so I can't enter. Hmm. Shame. But we all look forward to reading your entries - and do keep in mind that last year's competition was won by Valerie O'Riordan's fantastic 350-word flash story, so no need to nudge right up to the maximum word count of 3000 words. Write a story as long as it needs to be. International entries welcome. 20 stories will be shortlisted. The 20 shortlisted writers will be invited to an awards ceremony in Bristol on July 16th 2011 when the winners will be announced and the BSSP Anthology Volume 4 will be launched. Prizes and anthologies will be sent to any shortlisted writer unable to attend the awards ceremony. The other 17 writers who feature on the shortlist will be presented with a cheque for £100. All 20 shortlisted stories will be published in both print and ebook versions of Volume 4 of the Bristol Short Story Prize Anthology. The closing date for entries is March 31st 2011. The maximum number of words for each story is 3,000. There is an entry fee of £7 for each story submitted. Stories can be on any theme or subject and are welcome in any style including graphic, verse or genre-based (crime, thriller, science fiction, fantasy, romance, historical etc.). While there is a maximum word count of 3,000, it should be pointed out that there is no minimum. (If you're a reader of Venue magazine in Bristol or Bath, you can win a free entry.) Get your entries in! A short short story contest - win books! I was delighted when Red Room, the wonderful site for authors, asked if I would give away three copies of my book as part of the prizes for their first short short story contest for Red Room authors. Here are the details, if you're a Red Room member, why not enter? Our esteemed guest judge, who will select a first, second, and a third place winner, has published eleven novels and five volumes of short fiction. The magazine Short Story recently published a retrospective of his work, which led him to unearth "Moving Day," his first published short story, which appeared in Redbook in 1974. His most recent novel is Hell, just released in paperback. It's a comic fantasy about a news reporter who dies and finds himself still delivering the evening news, this time in Hell. Definitions of a "short story" include "fiction less than 10,000 words," "a brief, highly unified piece of fictional narrative," and "an essay written under the guise of fiction to protect the writer's family." Many literary journals and contests prefer 3,000 to 5,000 words for submissions. We're calling this Red Room's "Scandalously Short Story Contest" because the word limit is only 1,000 words. That's something someone like Joyce Maynard could write in an hour but we'll give you two days to write, edit, and post it. When you're done, you might say: "It's so short, I can't believe it's a story!" The first-, second-, and third-place winners will each receive a set of three books by Red Room authors. Margo Berdeshevsky's Beautiful Soon Enough (2009) is a collection that captures the lives of twenty-three arresting women. Robert Olen Butler called it a "thrillingly cutting-edge work of photos and short short stories flowing together." 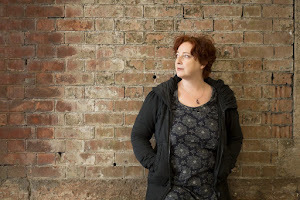 Tania Hershman founded The Short Review, a short-story collection review website. Her debut collection, The White Road and Other Stories, was published in 2008 by Salt Publishing. N. M. Kelby writes both nonfiction writers guides and fiction; her most recent book, 2009's ATravel Guide for Restless Hearts, collects stories "for those of us who suddenly find ourselves tourists in our own lives. "As always, we'll feature all winners and other notable entries on the homepage the following week. For help on how to blog, please see the directions here. We'll choose one of these blog posts to be featured on Red Room's homepage next week. Post your entry by Friday at 10:30 a.m. PDT (GMT-08:00). Contest Rules: Only Red Room authors and members who joined before October 6th, 2010, are eligible. Entries will only be considered if posted on your Red Room blog by the deadline of Friday, October 8, 2010, at 10:30 a.m. PDT (GMT-0:8:00), and tagged correctly with the keyword term "short story contest" in the Blog Keyword Tags field so we can find it. (Please don't forget the tag. For more information about tags, click here.). Please do NOT post the story as any other content type (such as "story, article, or poem"). You must enter it as a blog entry or it will not be considered. Judging is at the sole discretion of Red Room. Your entry must consist of a short story that is 1,000 words or less. Email us if you have questions or need help with the contest. I am now officially a writer of prose poems! My first one has just been published by the Prose Poem Project, and that's how I found out that it actually was a prose poem. Sometimes it's wise to leave the labels to other people. I wanted to say enormous congratulations to my writer friends - online and offline - who have been shortlisted for the Bridport Prize in all three categories, short story, flash fiction and poetry. The official shortlists won't be unveiled til Oct 31st, so for the moment, you know who you are! Opium magazine's Shya Scanlon 7-line contest, October 4th: "The rules? Write a story or prose poem that is seven lines or less (8.5" x 11" paper with 1" margins). The winning story along with runners-up — and as many as 10 finalists — will be featured in Opium11, slated for release in March 2011. (We will not accept previously published work.) Grand prize of $1,000 (or the second- and third-place prize of $100)" The wondrous Amy Hempel is judging! Genomics Forum Poetry competition, Oct 7th: "Write a poem of no more than 50 lines on the theme of ‘improving the human’. First prize is £500, second prize is £200, and third prize is £100." This sounds like fun, I might even have a go, prose poems count too, don't they? PANK magazine's 1001 Awesome Words contest - new deadline 15th October: "Any form or formlessness, 1,001 words or less. You know who you are. Now go to it. 1st Place: $650* and publication in PANK 5.2nd Place: $150 and Publication in PANK 5 ." PANK loves wierd stuff, so if that's what you write, send it in! Sunday Times EFG Private Bank short story competition, Oct 30th: £30,000 first prize (yes, really! that's what happens when you run a competition in partnership with a BANK). "The award aims to honour the finest writers of short stories in the UK and Ireland. It is open to authors with a previous record of publication in creative writing. Entries may be previously unpublished, or first published or scheduled for publication after 1 January 2010. All entries must be under 6,000 words and entirely original." And... entries by POST only. They publish the longlist, so if you're eligible to enter, it's worth it. I know two of those who were longlisted so it's not all star-studded Big Names, and in fact almost all the BNs didn't get from the longlist to the shortlist, so there. Writers Digest short story competition, Dec 1st: "We're looking for fiction that's bold, brilliant...but brief. Send us your best in 1,500 words or fewer.First Place: $3,000 and a trip to the Writer's Digest Conference in New York City Second Place: $1,500 Third Place: $500 Fourth Through Tenth Place: $100 Eleventh Through Twenty-Fifth Place: $50 gift certificate for Writer's Digest Books" Lots of prizes on offer here and "only" 1500 words to wow them with. Get your entry in early, that's my ex-judge's tip. Who knows if it helps! That's all for now, folks. Good luck to you all! Thank you to Sarah for this: Troubadour Poetry prize, deadline 15 Oct: "Poems must be in English, must each be no longer than 45 lines, must fit on one page of A4, must be the original work of the entrant and must not have been previously broadcast or published (in print or online)- shortest turnround of any major competition: poems in on/by Fri 15th Oct, winners know by Mon 22nd Nov, results by e-mail to everyone else after announcement on evening of Mon 29th Nov;- no sifters/chuckers-out, both judges read every poem;- not just £1000 top prize but 22 other prizes and the chance for every prizewinner to read at Troubadour Prize Celebration on Mon 29th Nov;- every submission, whether one poem or ten, supports our fortnightly Monday night readings in London's liveliest, longest-running and best-loved literary landmark venue, now surviving without Arts Council support and relying increasingly on poets around the country and around the world to keep literature 'live' in London." Addendum 2: And thanks to Nuala for this: Gregory O’Donoghue International Poetry Prize, Dec 15th deadline. "first prize of €1,000 (on 1 October 2010 approx. US$1365 or UK£850) and publication in Southword Literary Journal. If the winner comes to Cork to collect their prize in February 2011, we will lavish them with hotel accommodation, meals, drinks and VIP access to the literary stars for three days during the Cork Spring Literary Festival. There will be a second prize of €500, third prize of €250, and ten runners-up will each have their poems published in Southword and receive Southword’s standard fee of €30. The current judge is Leanne O'Sullivan, who will read each and every entry herself". This competition is being run by the Munster Literature Centre, for whom I judged the Sean O'Faolain prize, so I can vouch for them - and I can say that Leanne's poetry is absolutely breathtaking, so even if you don't enter, check her out.